Review: Over the course of his career, Max Graef has proved to be rather adaptable, variously turning his hand to dusty deep house, revivalist jazz-funk, drowsy hip-hop beats and nu-jazz. 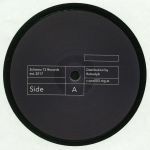 On this EP he touches on many of those styles, but it's the angular, techno-influenced analogue electronics, Motor City chords and shuffling beats of opener "Thrillhouse & Bonus Beat" that really sets the pulse racing. Graef's obsession with raw, lo-fi sounds is further explored on "2 Cool 4 U", which sounds like a cross between tropical house, early UK bleep and wayward techno, while closer "Bunds" sees him wrap deep space electronics around a sparse, pitched-up, high-register drum machine beat. As for the rest of the EP, it's deep, dusty, jazzy and really rather good. Next online in 17 hrs 12 mins.